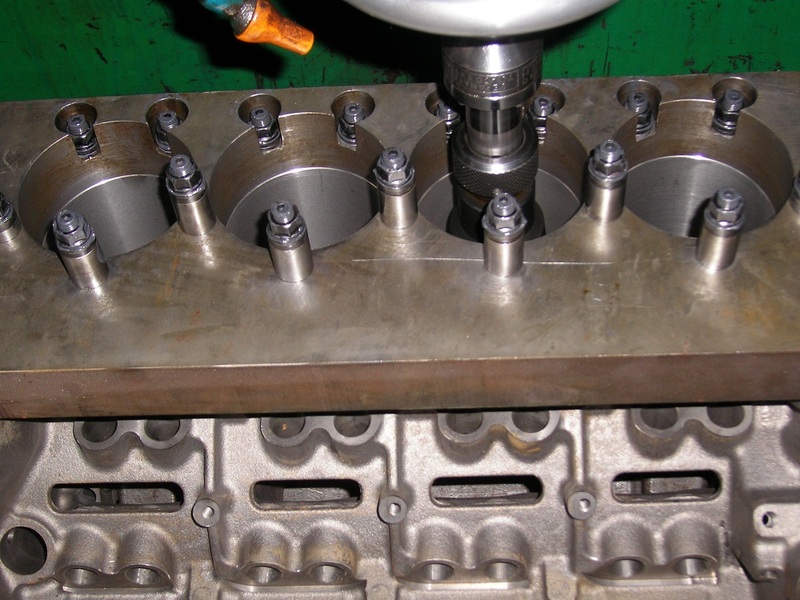 Sircar Engine Reconditioners are proud to show you some photos of Engine Machining we have done. 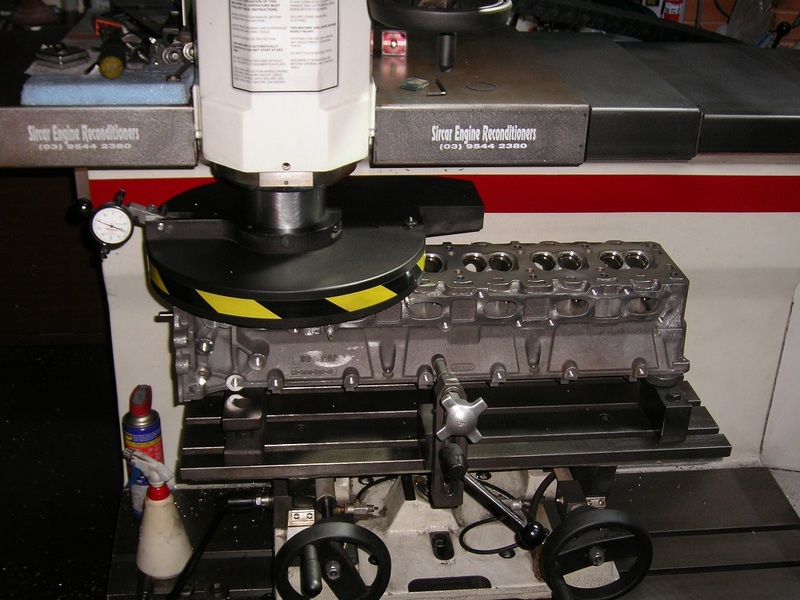 For Engine Machining call us now on 03/9544 2380. 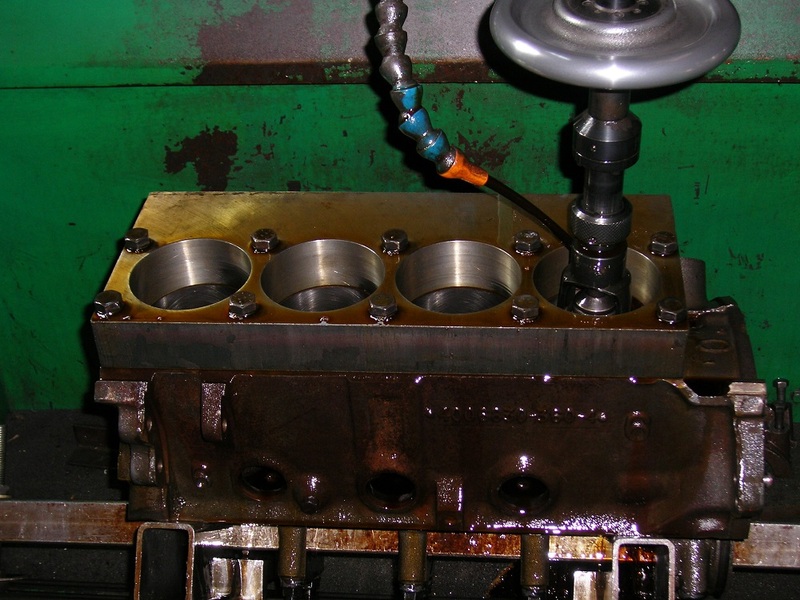 Ford Flathead V8 Block having it's Head Gasket Face Machined. 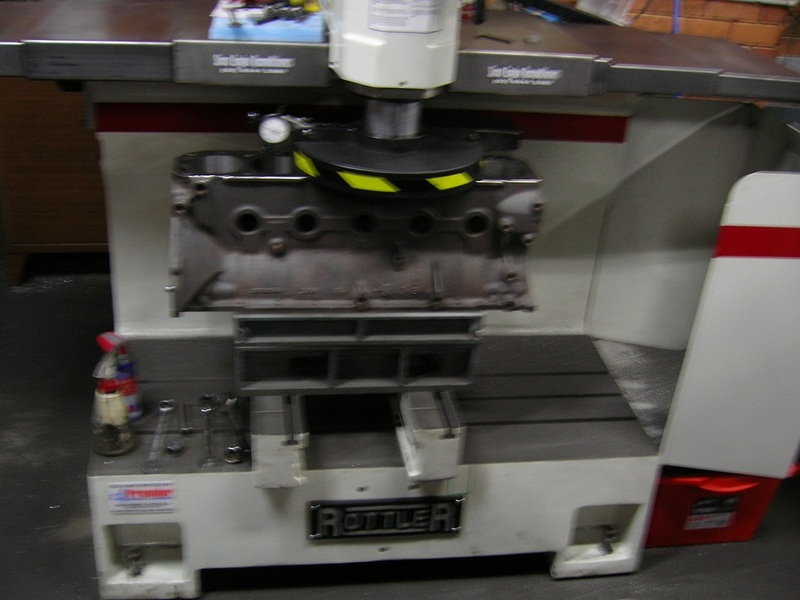 Ford V8 Sidevalve Engine Block being Decked on our Rottler Head and Block Surfacing Machine. 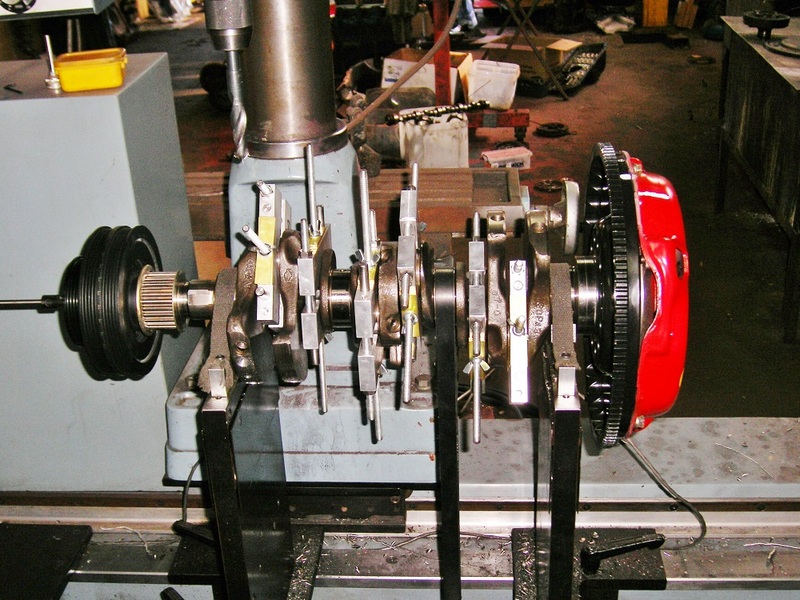 Nissan 300ZX V6 Individual Throw Crankshaft being Dynamically Balanced. 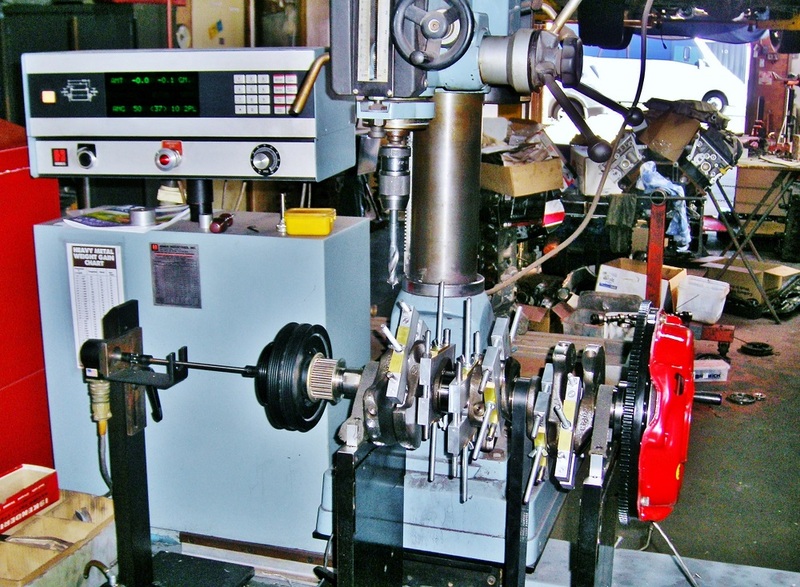 Nissan VG30 V6 Crankshaft Assembly being Balanced on our Hines Computerised Dynamic Balancing Machine. 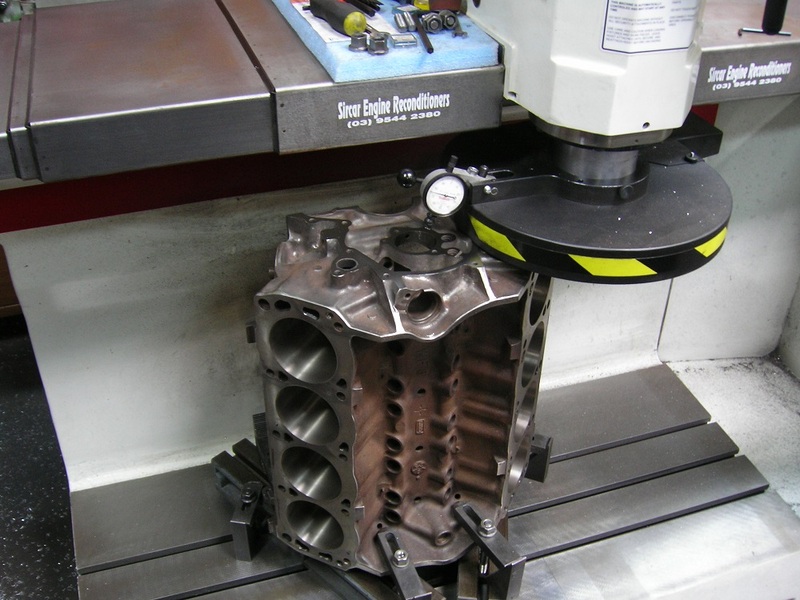 Surfacing the Gasket Face on a BMW 6 Cylinder Head on our Rottler Head and Block Surfacing Machine. 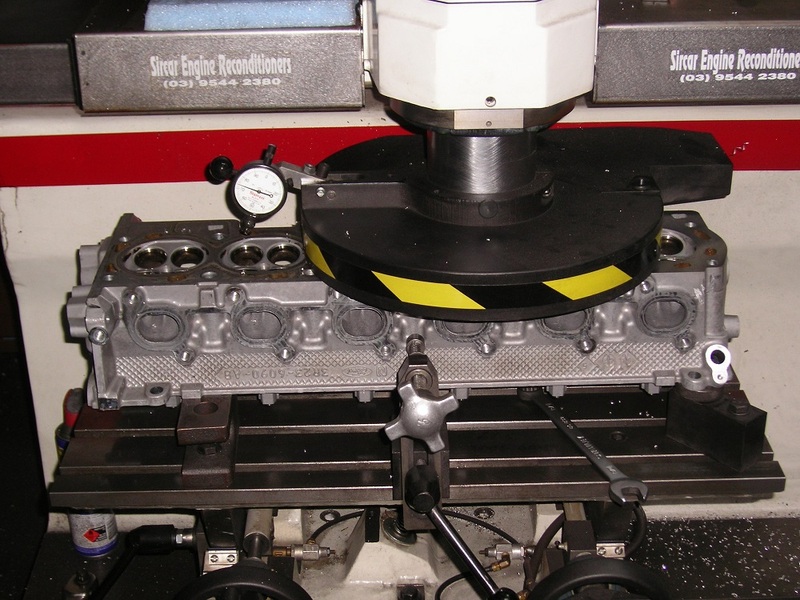 Machining the Head Gasket Face on an Alloy 6 Cylinder Head. 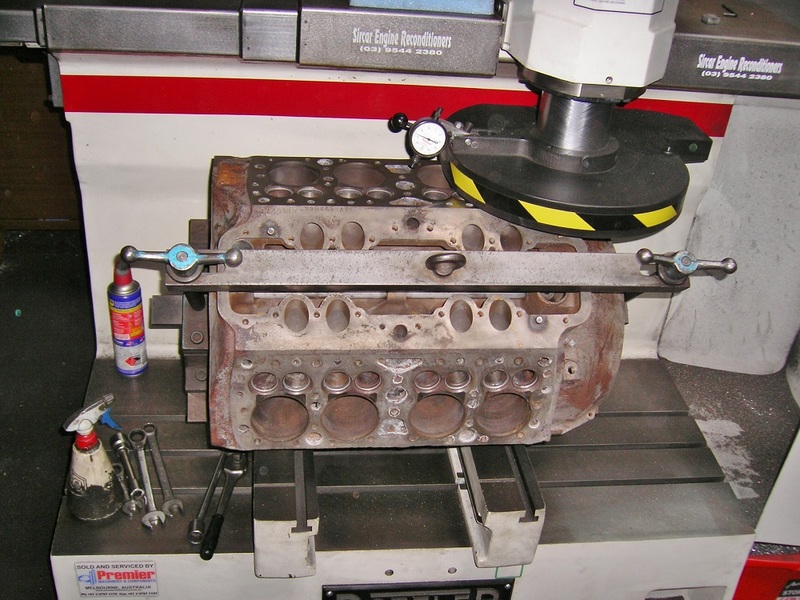 Pressure Testing an Aston Martin 6 Cylinder Head. 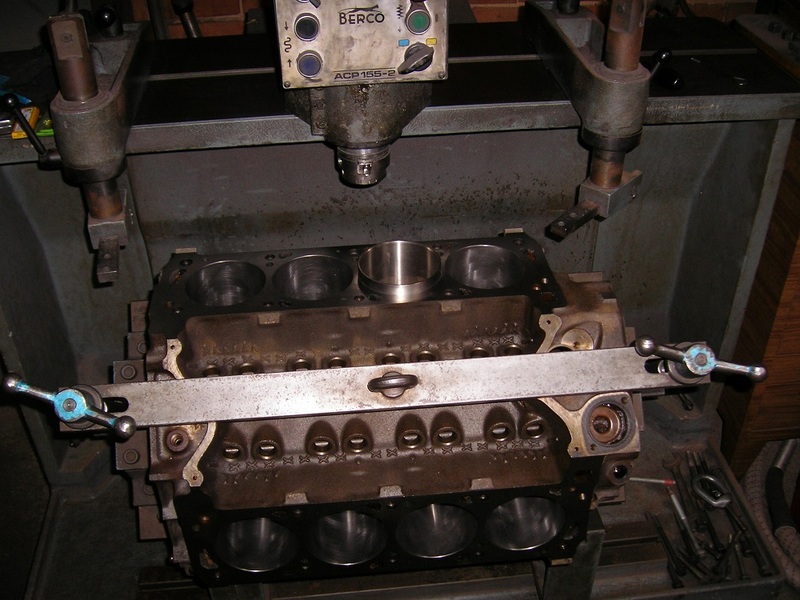 Degreeing a Camshaft in a Holden 355ci Stroker Engine. 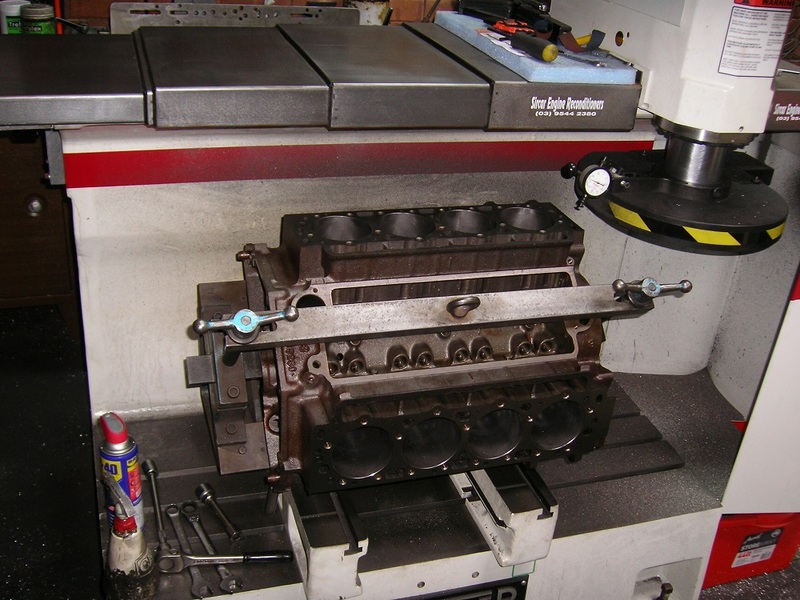 V12 Aston Martin Cylinder Head having it's Gasket Face Machined. 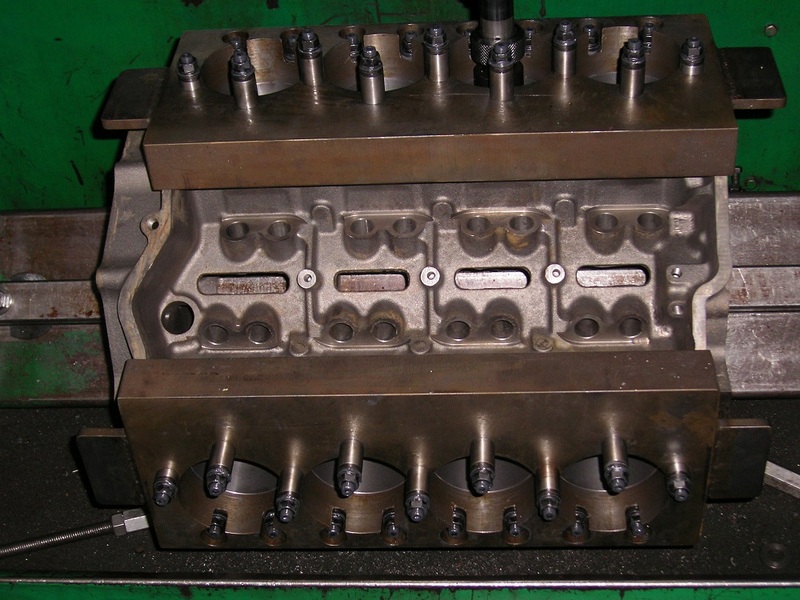 Aston Martin V12 Cylinder Head being Surfaced on our Rottler Head and Block Surfacing Machine. 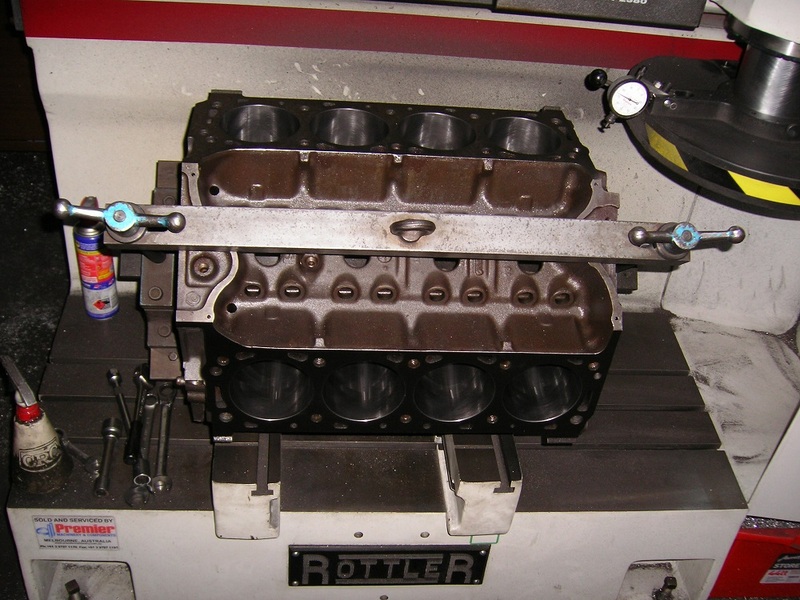 Packard Straight 8 Cylinder Head being Surfaced on our Rottler Head and Block Surfacing Machine. 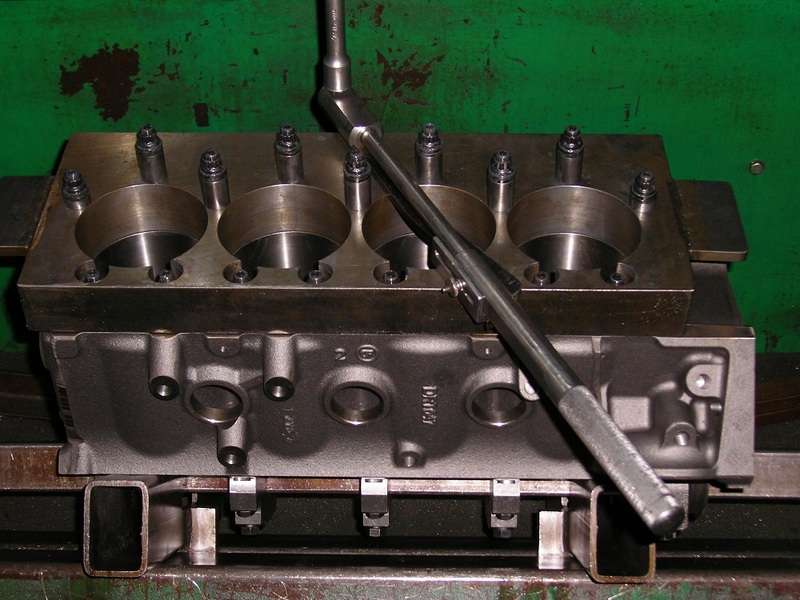 Packsard Thunderbolt 8 Cylinder Sidevalve Head having it's Gasket Face Machined. 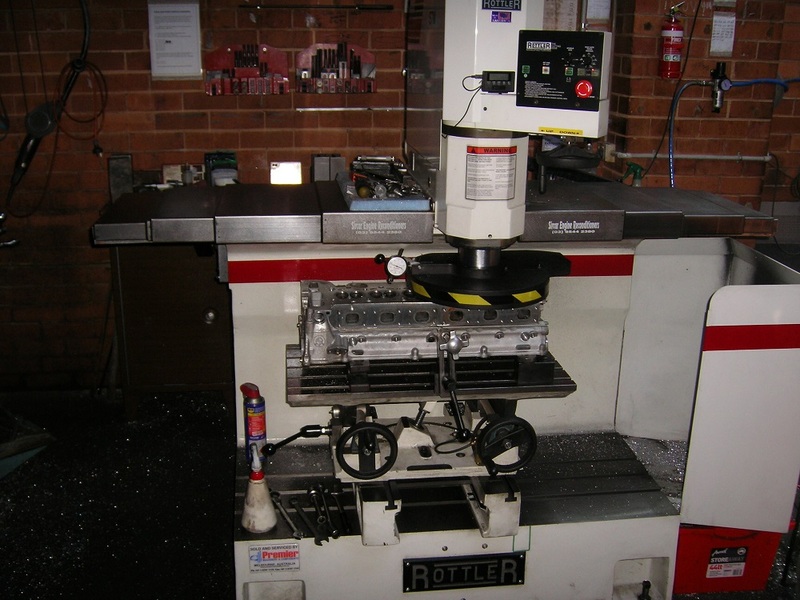 Surfacing a BA Ford 4.0L Turbo Cylinder Head on our Rottler Head and Block Surfacing Machine. Decking a Ford BA 4.0L Turbo Block. 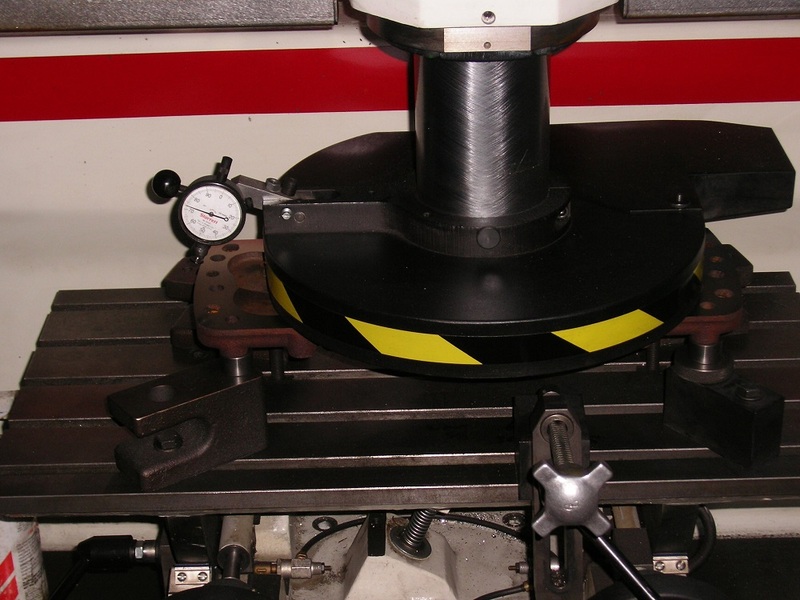 Calibration Mandrel for our Hines Computerised Dynamic Crankshaft Balancing Machine. 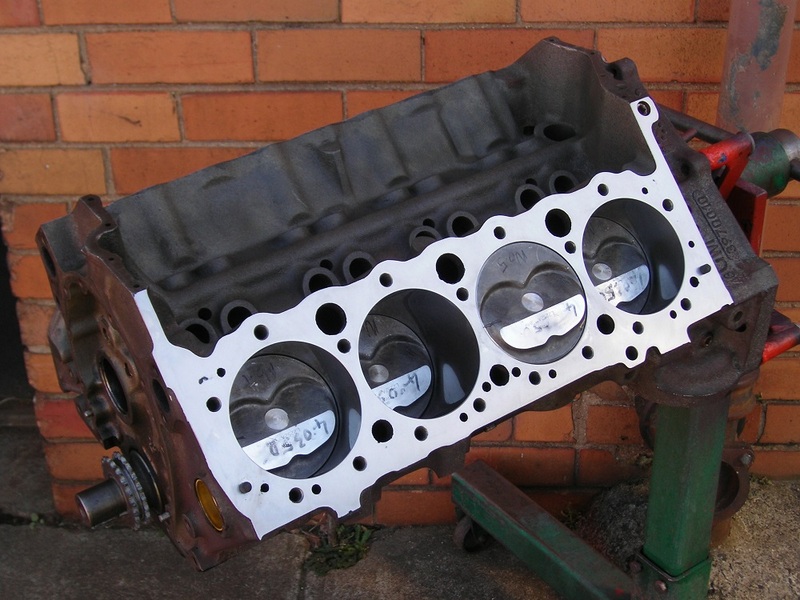 Surfacing a Holden 138 Cylinder Head. 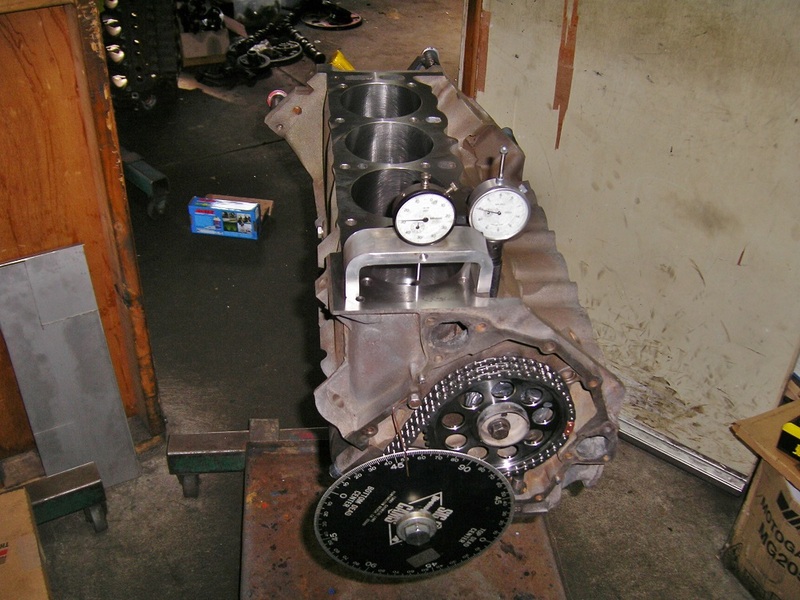 Decking a Ford 460ci Engine Block. 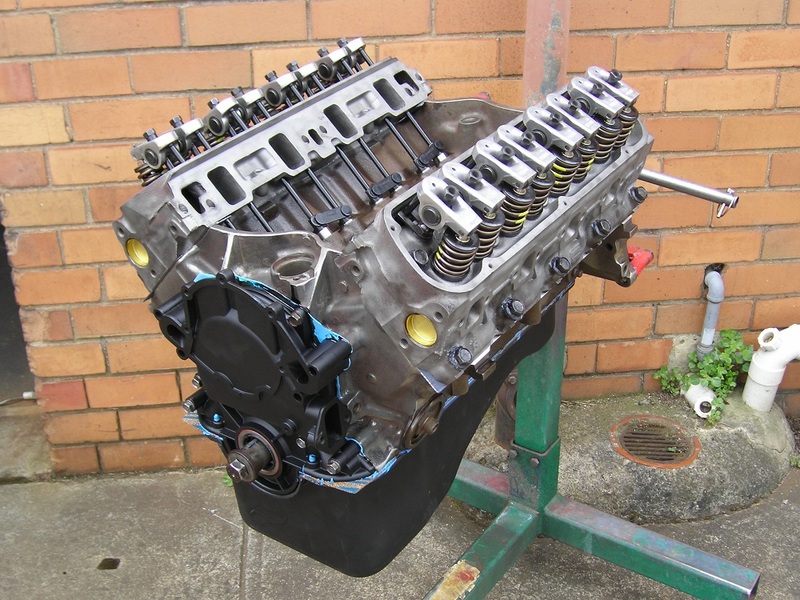 Boring a Holden 138ci Grey Engine Block. 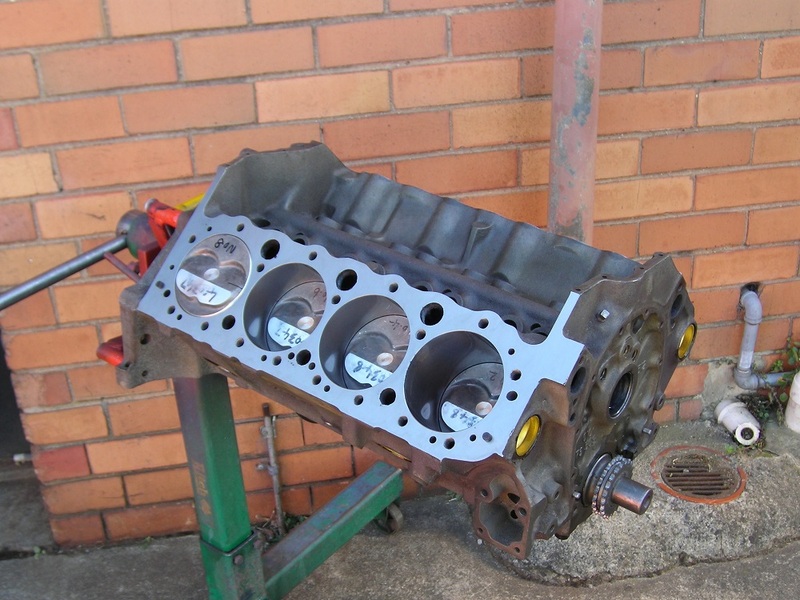 Decking a Holden Grey Motor Block. 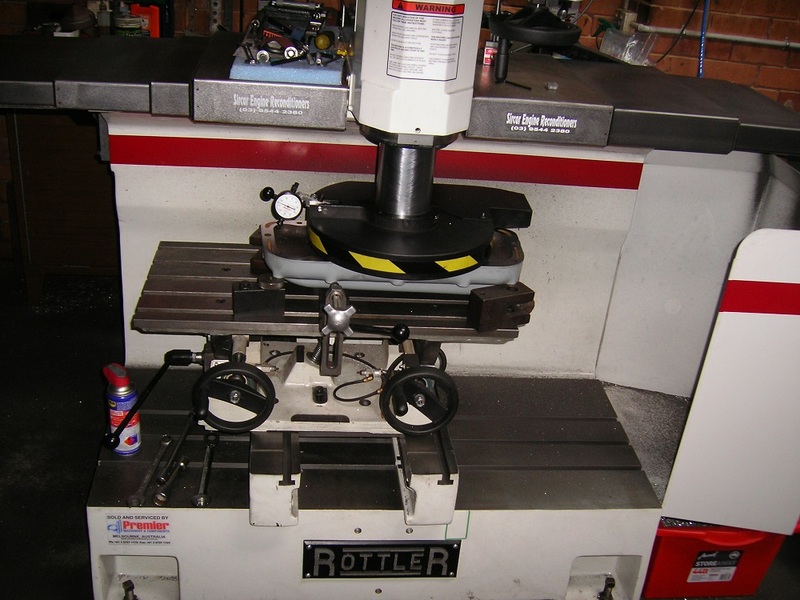 Surfacing a Ford V8 Side Valve Head on our Rottler Head and Block Surfacing Machine. 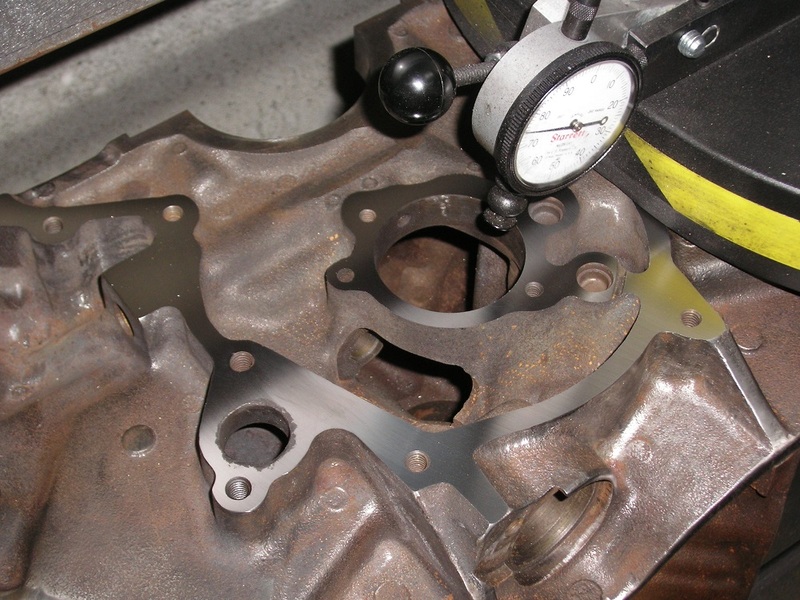 Machining the Gasket Face on a Ford V8 Flathead Cylinder Head. 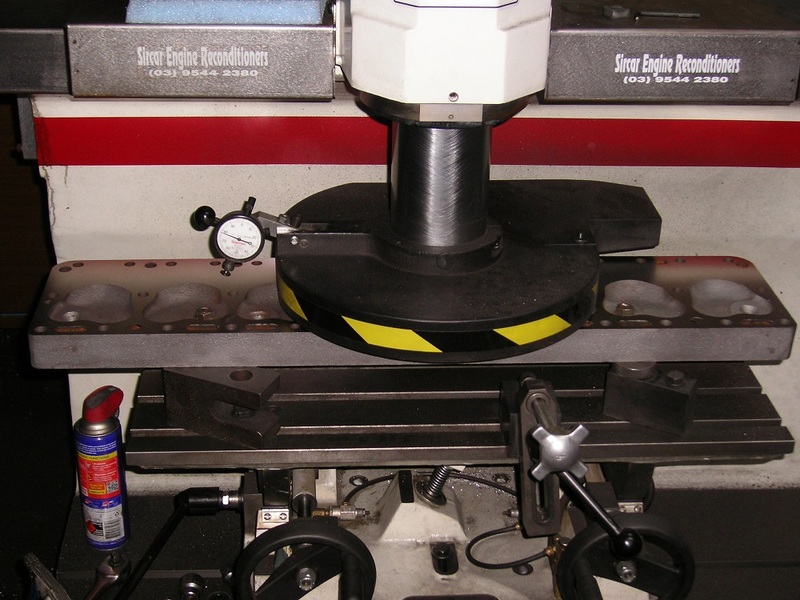 Sleeve Being Fitted to a Ford Cleveland Block. 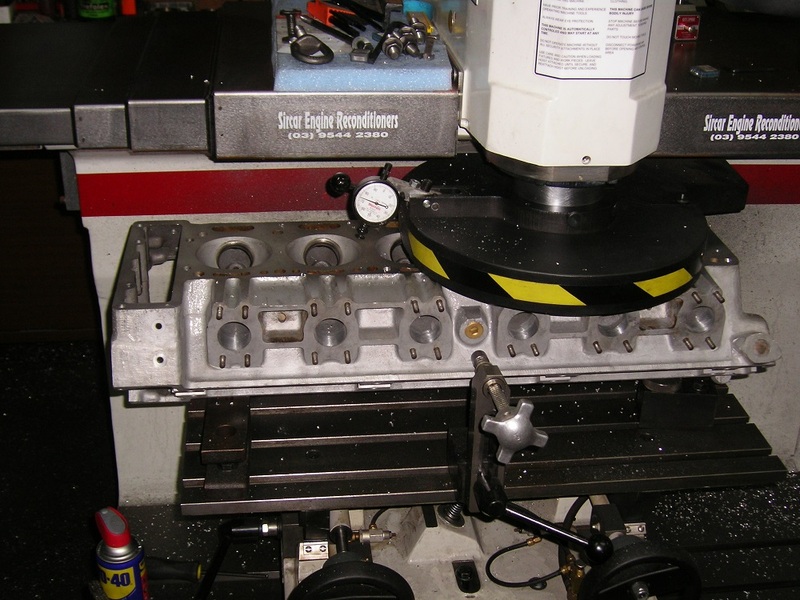 Cadillac 390ci Block Being Decked on our Rottler Head & Block Surfsacing Machine. 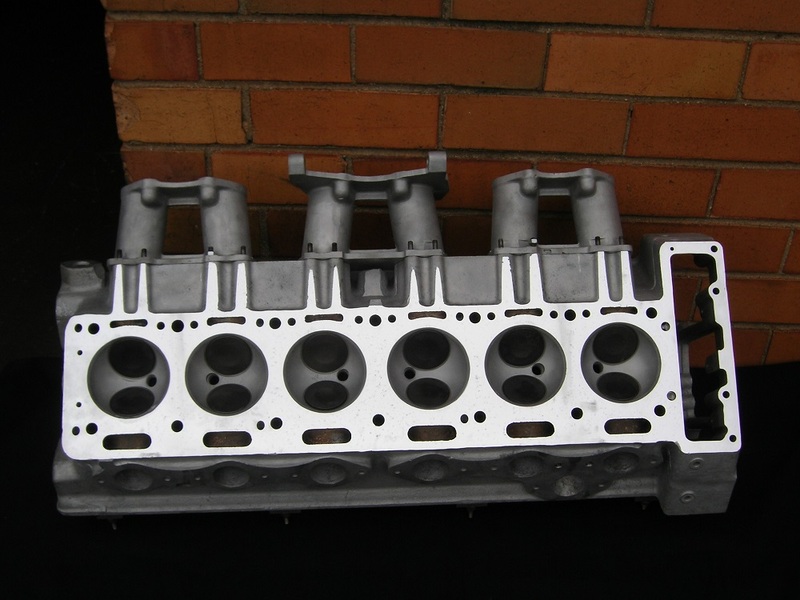 V8 Inlet Manifold Carby Face Being Machined Flat. Holden 186 Red Motor Block Being Torque Plate Honed. 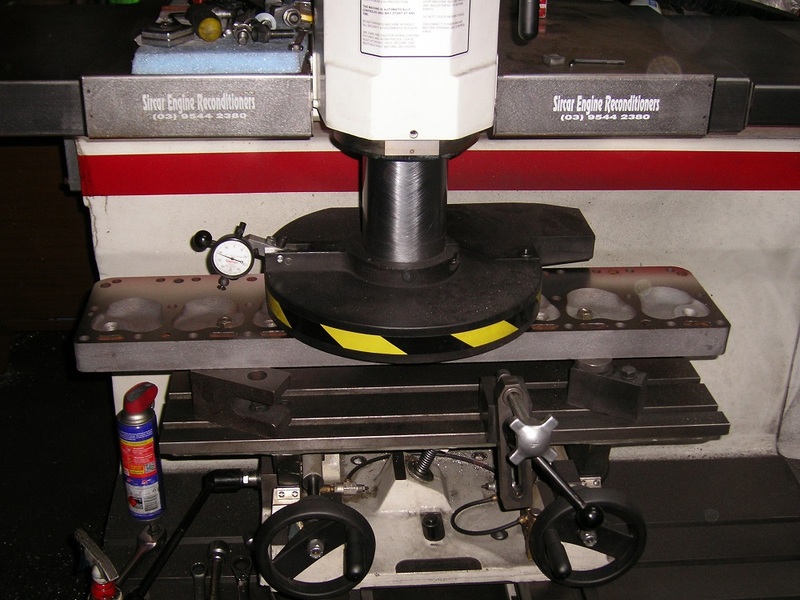 Dart SHP 400ci Block with Torque Plates Installed Ready for Torque Plate Honing. 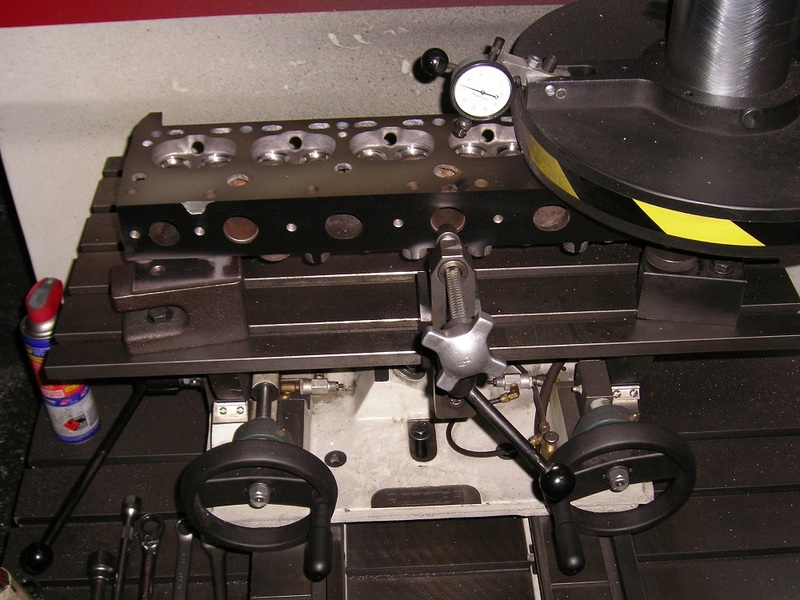 Machining the Gasket Face of an Aston Martin DB6 Cylinder Head. 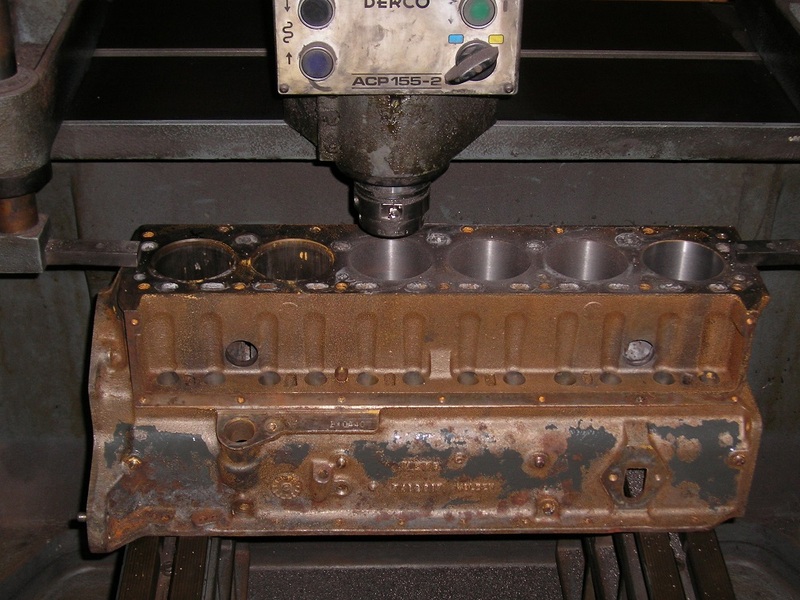 Aston Martin 6 Cylinder Head being Surfaced on our Rottler Head & Block Surfacing Machine. 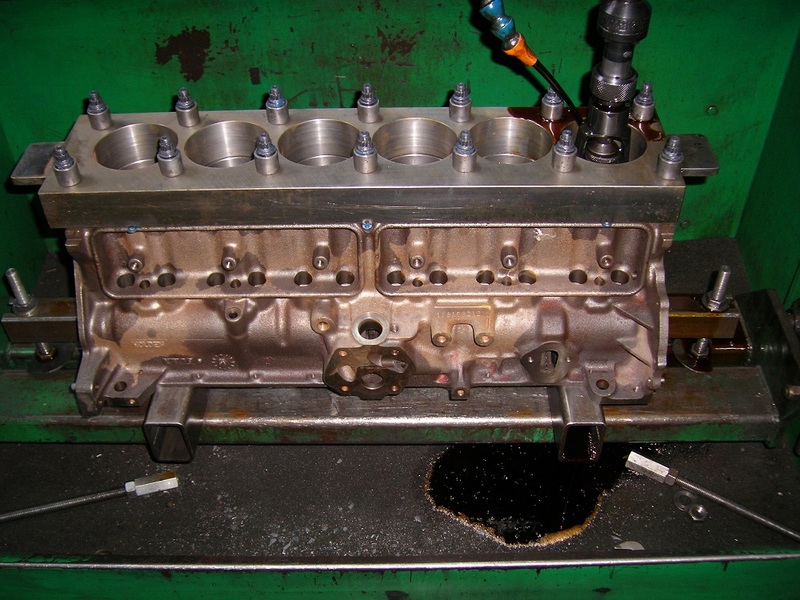 Jaguar 4.2L Reconditioned Cylinder Head. 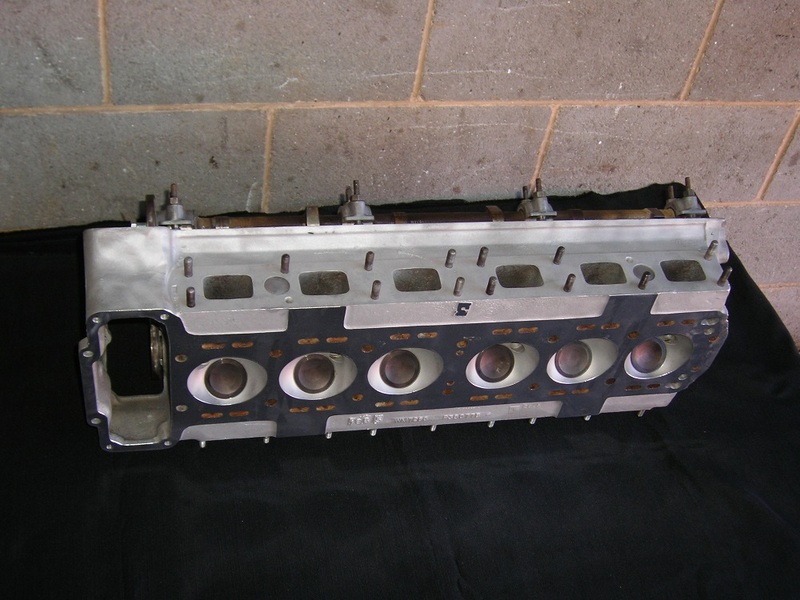 Jaguar XJ6 6 Cylinder Head Reconditioned. 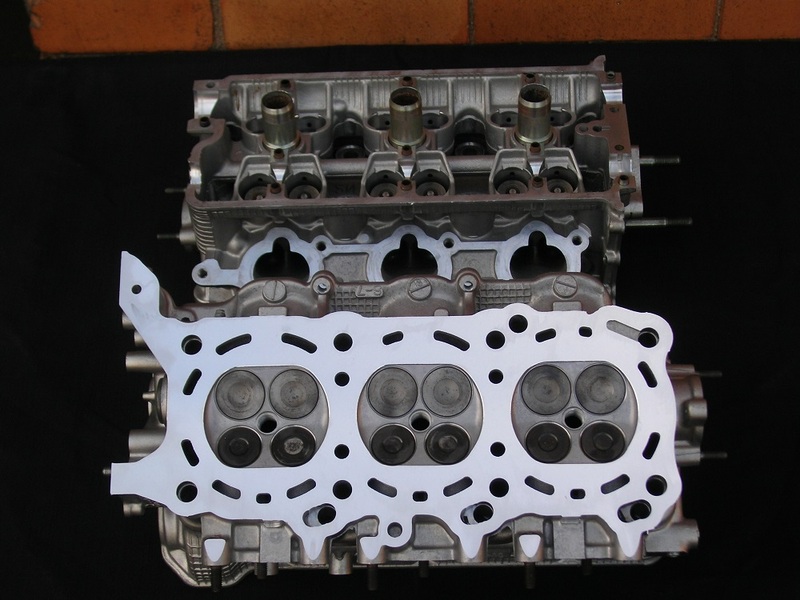 V12 Aston Martin Reconditioned Cylinder Heads. 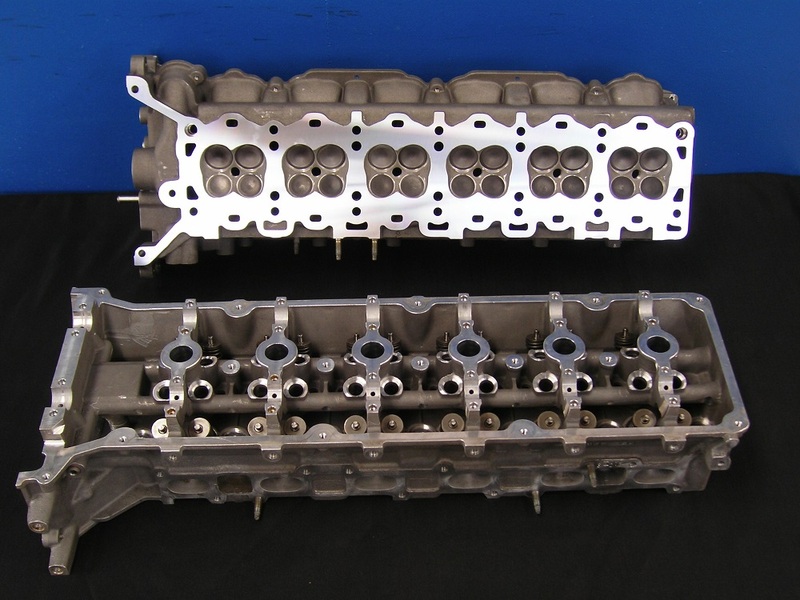 Aston Martin V12 Reconditioned Heads. Chevrolet 350 Short Motor with Forged Domed Pistons. Ready for Customer to Complete Assembly and Paint. 350 Chev Short Motor. 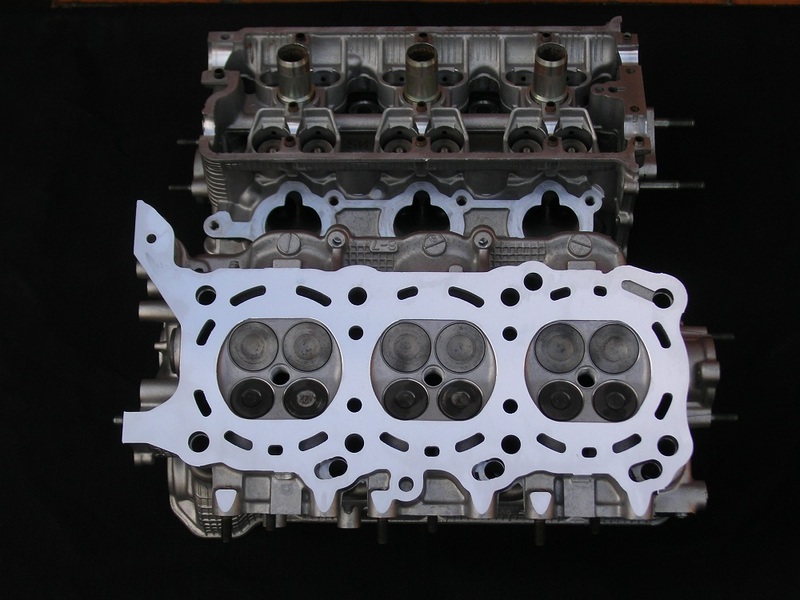 Balanced, Forged Pistons, '0' Decked, etc. 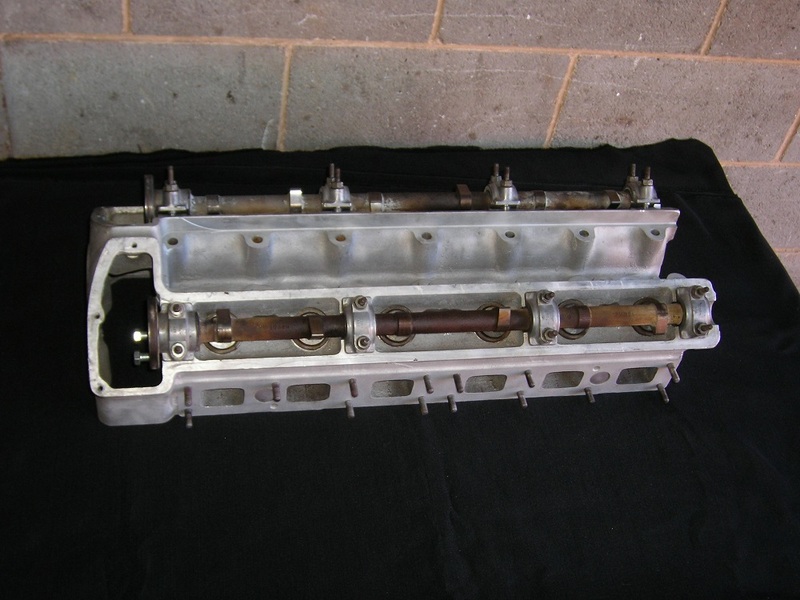 Aston Martin 6 Cylinder Head Reconditioned. Aston Martin DB6 Heads Reconditioned. Shown with Hot Cams and Weber Inlet Manifolds Fitted. 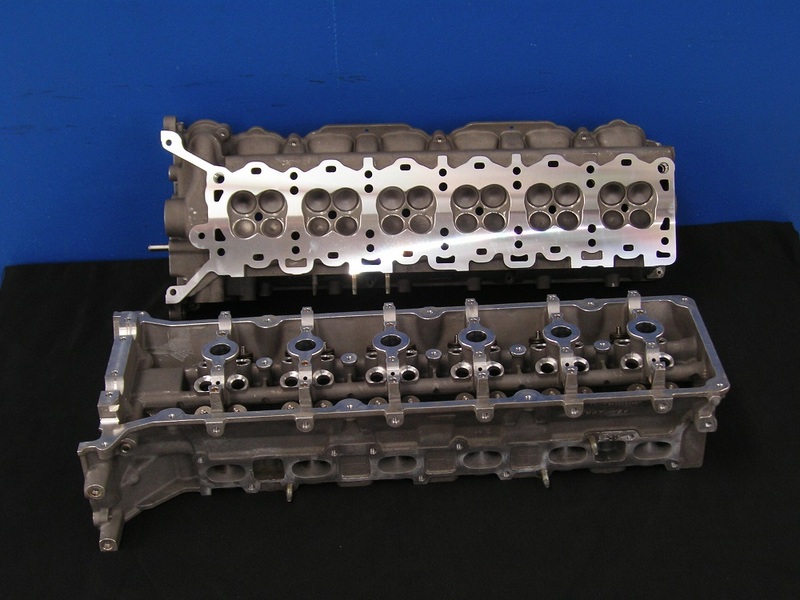 Reconditioned V8 Aston Martin Heads. 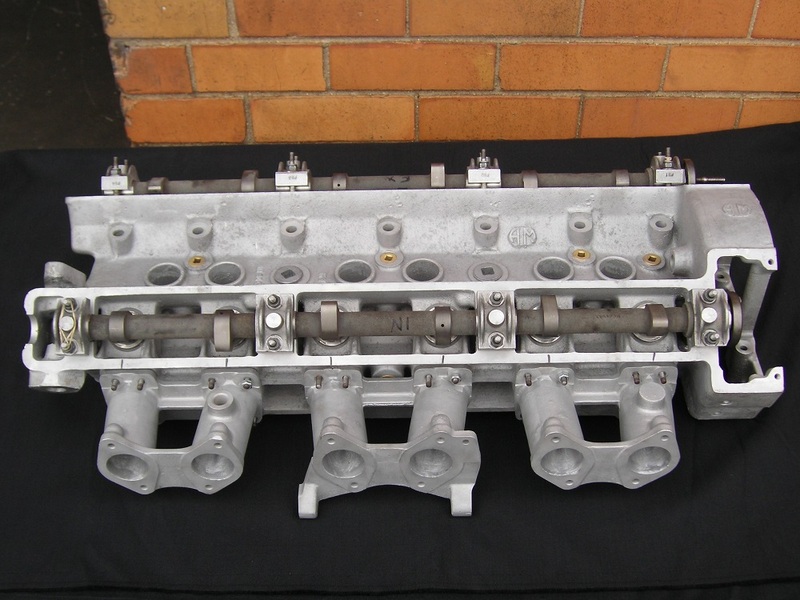 Aston Martin V8 Cylinder Heads Reconditioned. Ford 351 Windsor. 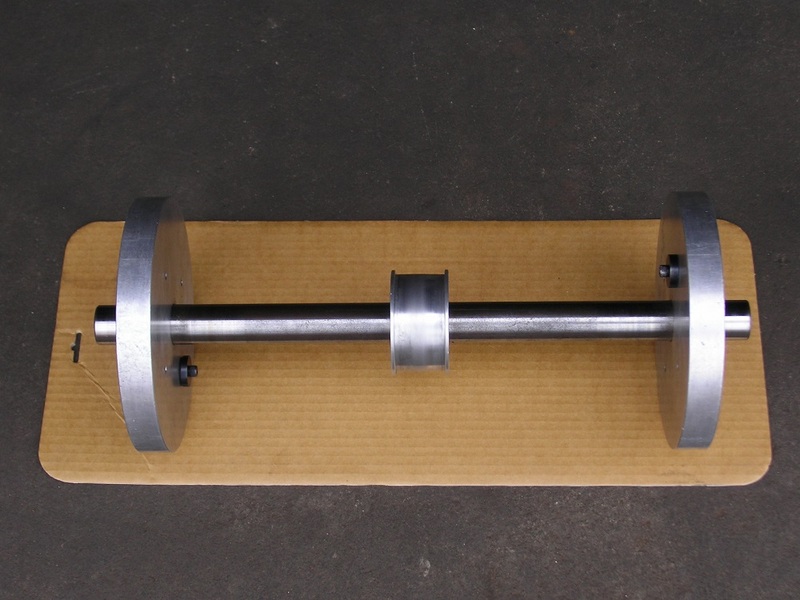 Ported, Balanced, Hot Hydraulic Roller Cam, Roller Rockers, Unpainted. 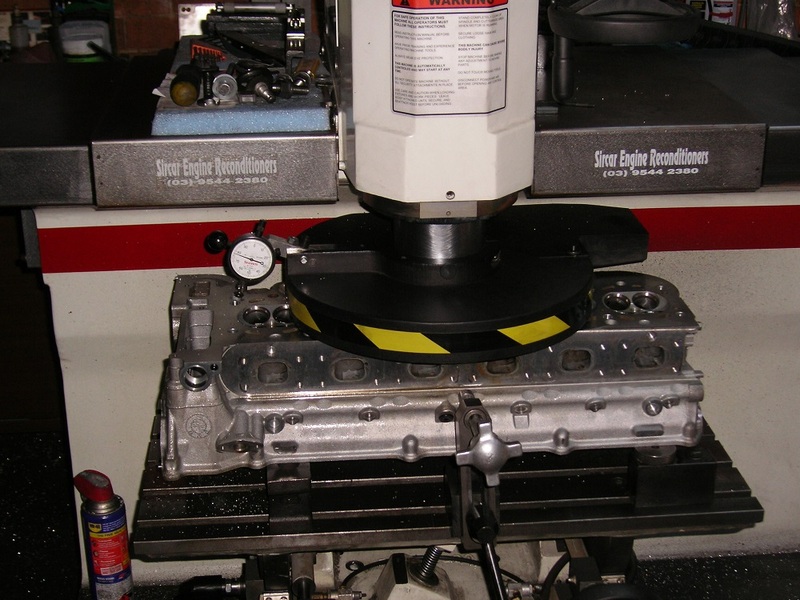 Dart SHP Chev 350-383 Stroker Block being Torque Plate Honed. 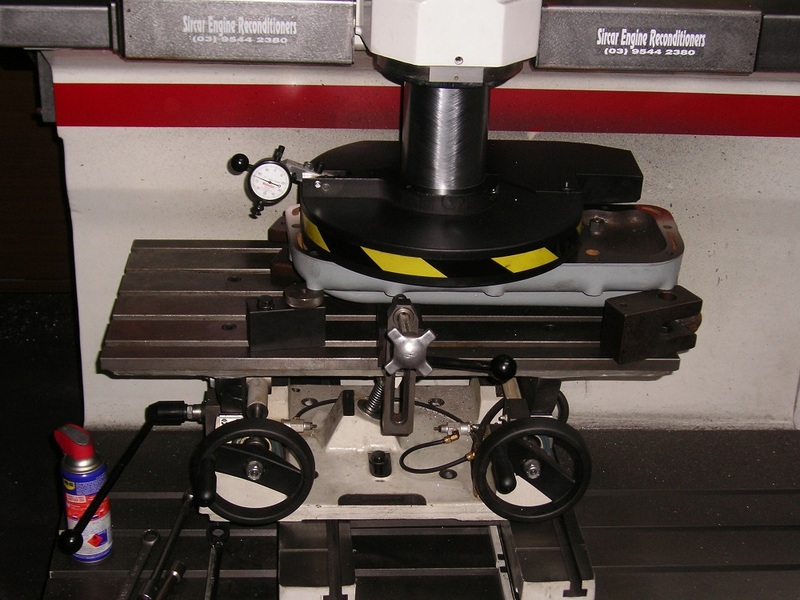 Chev 350 Dart SHP Block with Torque Plates Fitted Ready for Honing. Note ARP Studs. 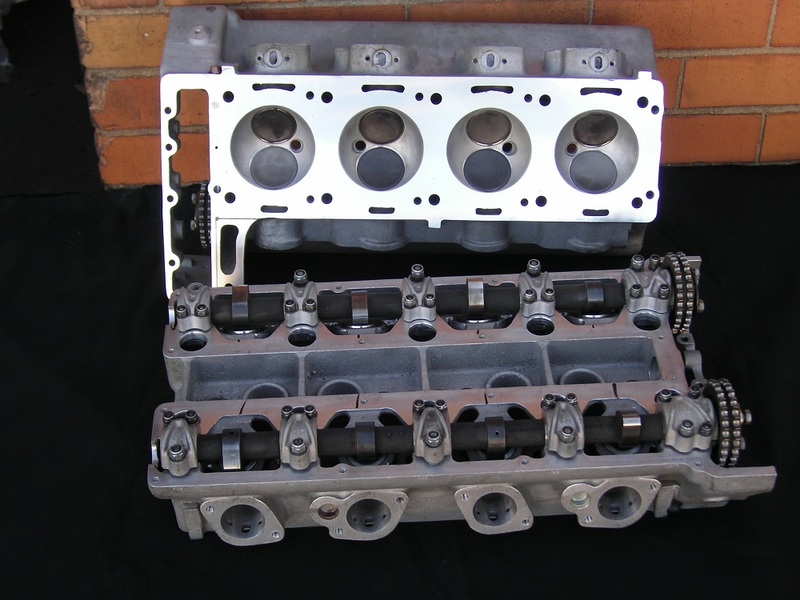 Suzuki Vitara V6 Reconditioned Heads. 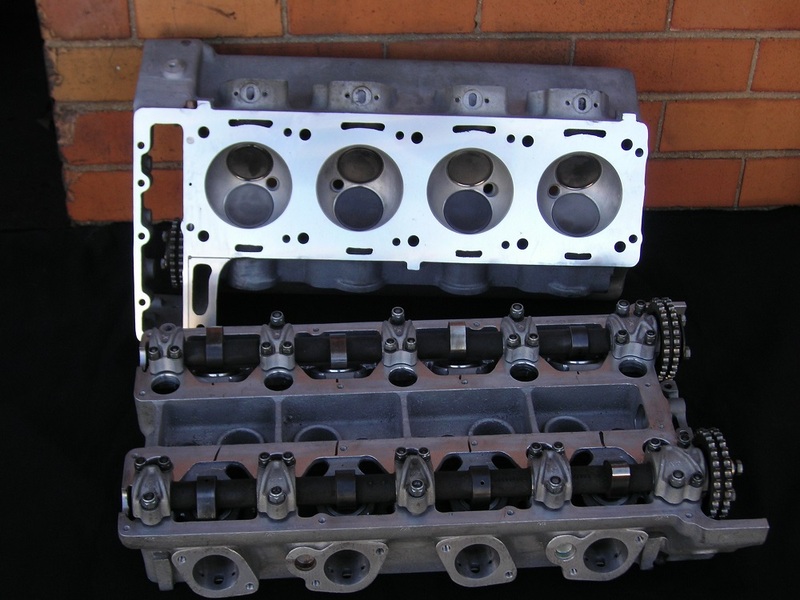 Suzuki H27A V6 Reconditioned Heads. 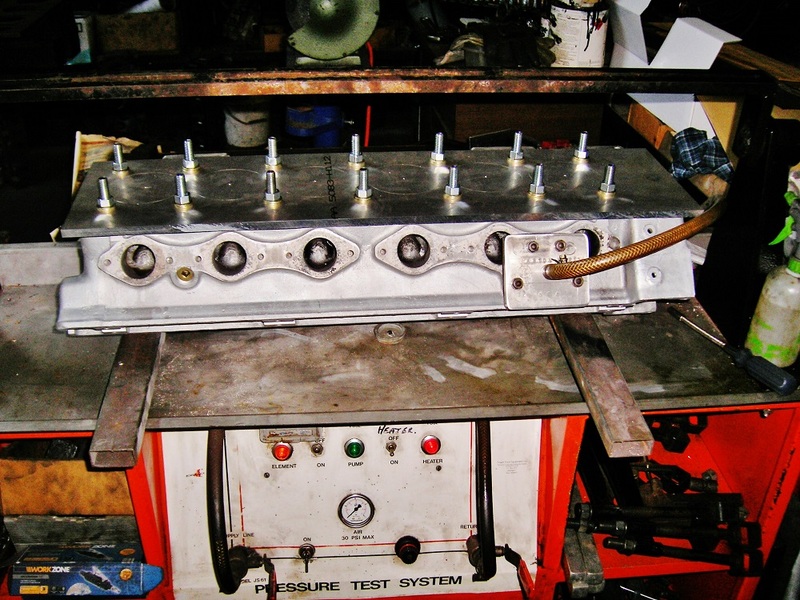 Ford 300ci Cylinder Block Being Decked. 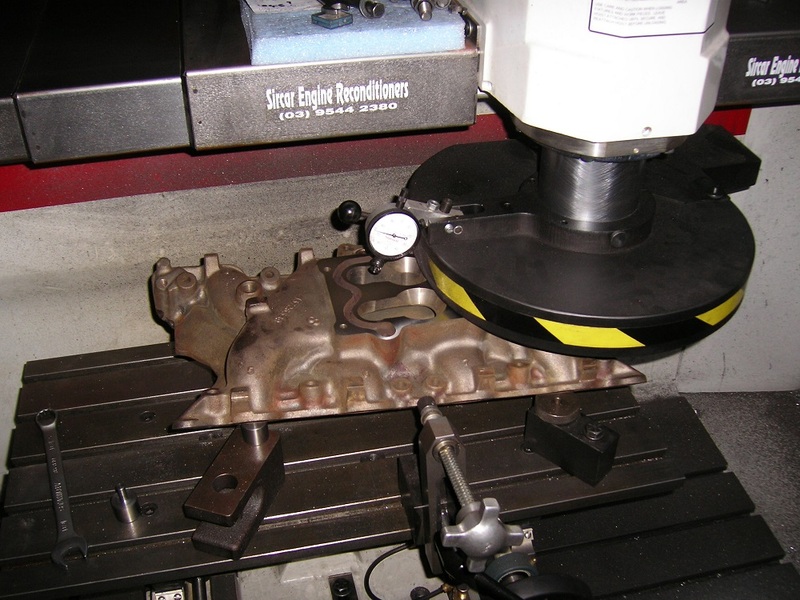 Timing Cover Face Being Machined on a Ford V8 Block. 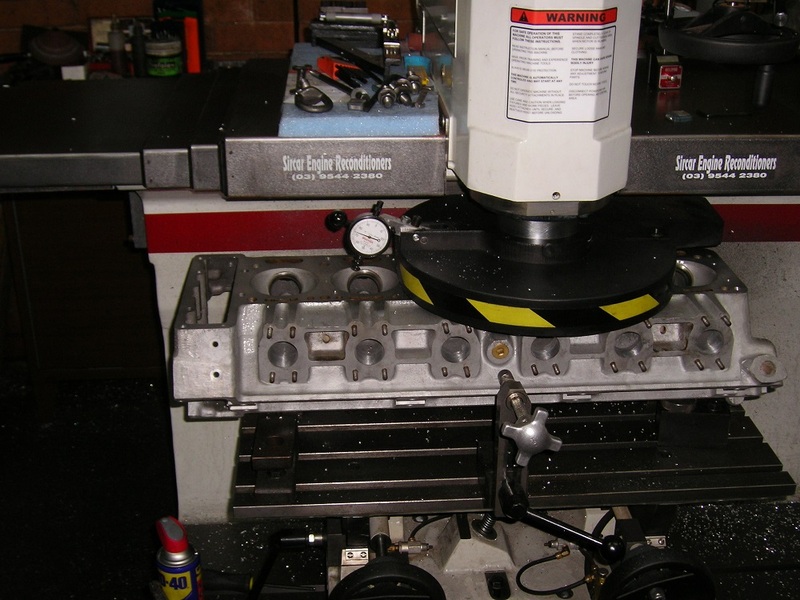 Machining the Timing Cover Face on a Ford 351 Windsor Block. 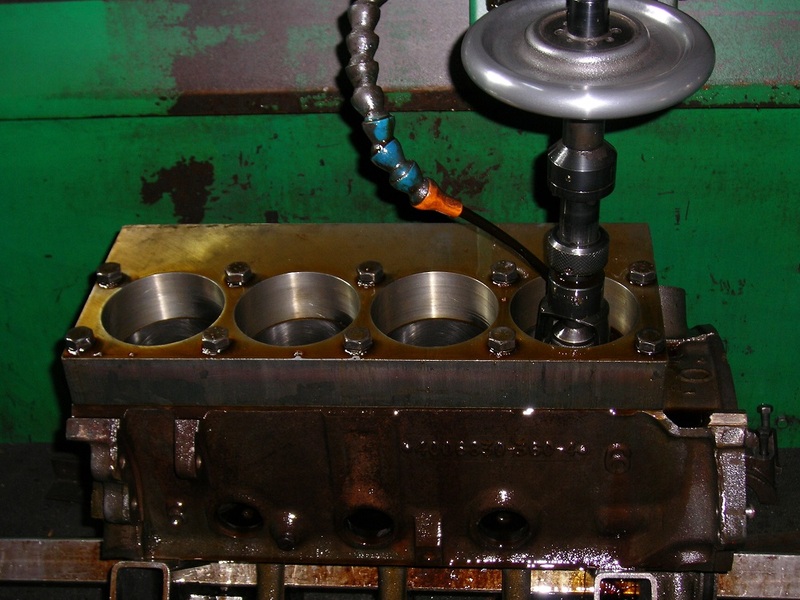 Side Valve Head Getting its Gasket Face Machined. 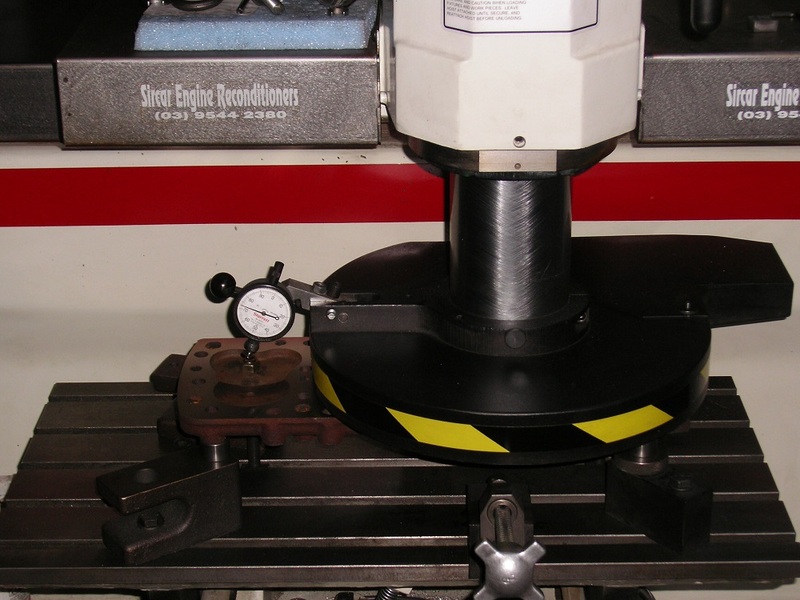 [Engine Machining]. 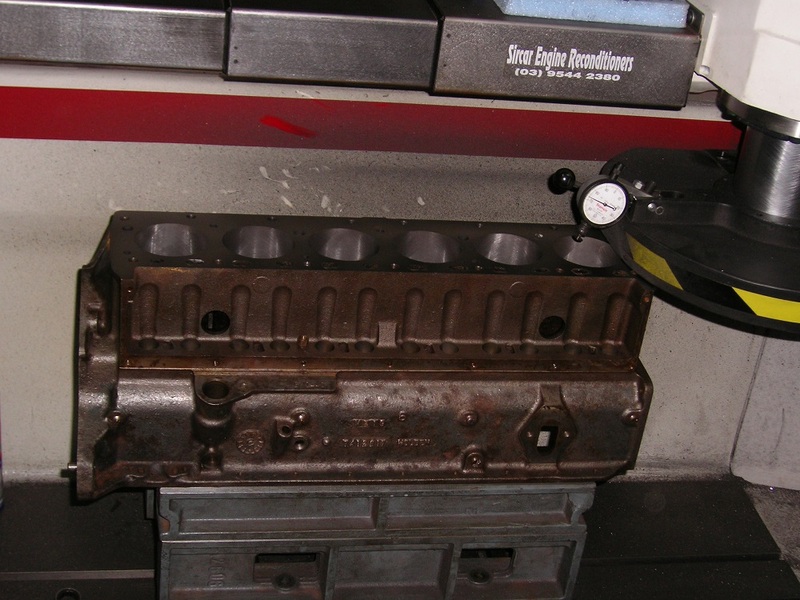 Ford 300ci 6 Cylinder Block Being Decked. 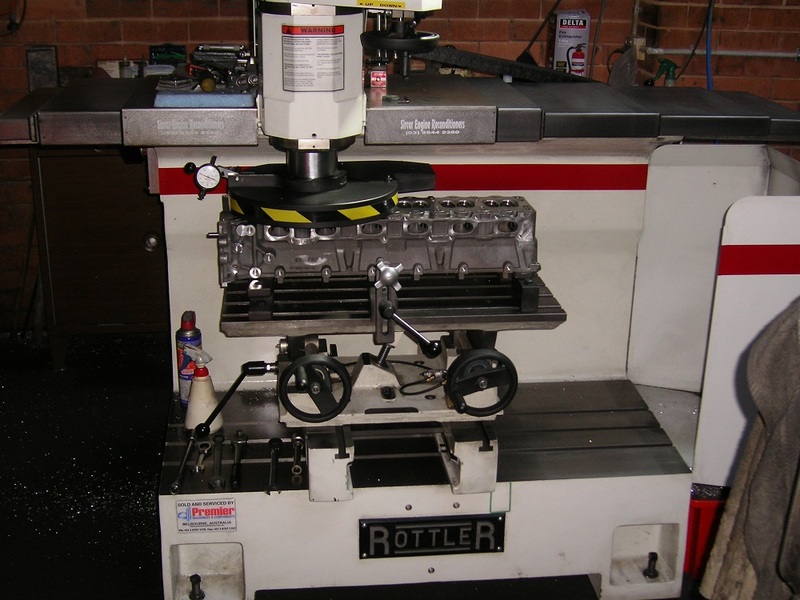 [Engine Machining]. 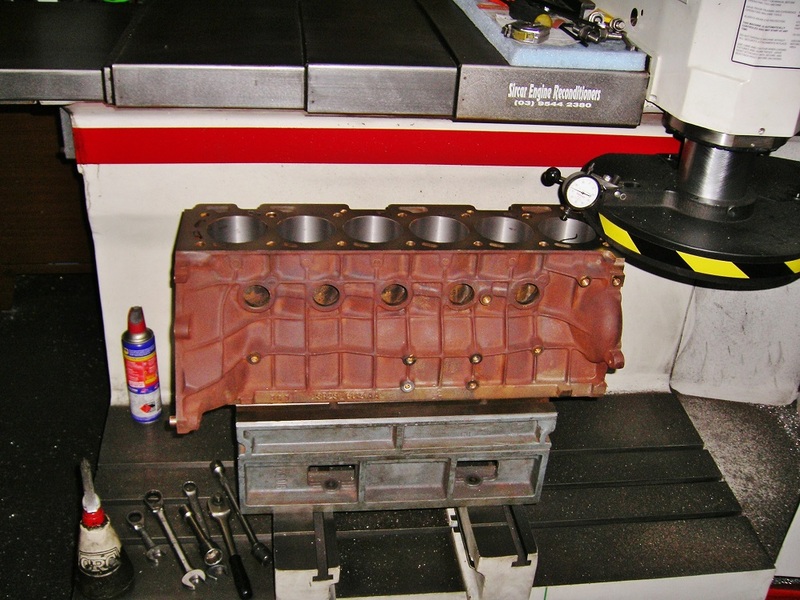 Dodge 4 circa 1915 Cylinder Head being Surfaced on our Rottler Head and Block Surfacing Machine. 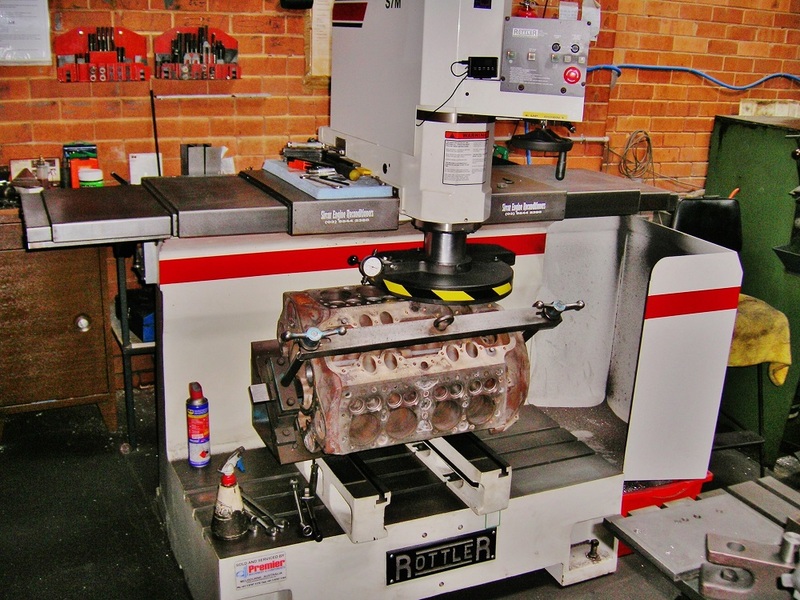 [Engine Machining].